Finding the perfect present for an outdoor enthusiast can be hard. An ‘outdoor enthusiast’ can be coined as anyone who loves camping, fishing, hiking or a person who just enjoys spending time outdoors with nature. If you know a friend or family member like this, read on to find the perfect Christmas gift inspiration for that special person in your life. Since we’re called ‘Generator Place’ it’s probably no surprise that generators are at the top of the Christmas list in our article. Generators are great for anyone who loves camping and caravanning because it means they no longer need to rough it to become one with nature. You can find plenty of generators that are specifically suited to camping. A camping generator is quiet and provides just enough power to deliver the modern-day essentials to get by such as power to your phone, lighting, fan, coffee machine, slow cooker and electric bug zapper just to name a few. 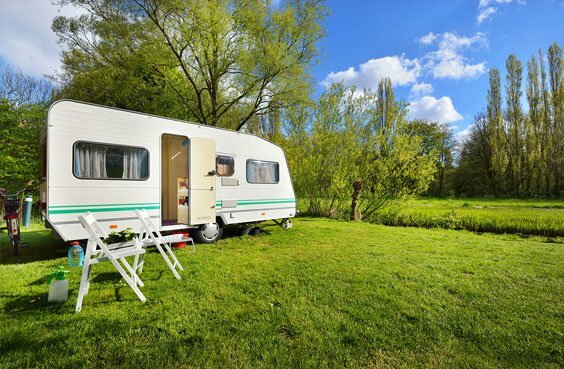 View our camping generators page for a quick guide on how to pick the perfect generator for anyone who loves the camping and caravanning life. If your outdoor enthusiast giftee already owns a generator or if you’re feeling extra generous, you can always add one of these items to pair with your generator gift. There’s a range of camping lights you can buy that run on battery or solar panels, but in many cases, these options don’t always provide enough light when doing tasks that require concentration such as cooking and cleaning. They can also be unreliable and run out of light when you need them most. Instead, why not gift a far superior lighting option? There are many compact lights available that can run off a generator and provide the same level of brightness and uninterrupted light that can be found at home. Just because you’re loved one likes to live in a tent for their holidays, that doesn’t mean they can’t brew a coffee in the morning or whip up a refreshing smoothie. Consider adding a portable and camping friendly appliance to your Christmas list. Most small appliances can run off a generator easily with no hassle but do keep in mind that the appliance you choose should be rugged enough to be used outdoors. One of the downsides of sleeping outdoors is being more susceptible to the elements, particularly the heat and cold, but that can easily be overcome by adding a portable fan or heater to any tent or camper van setup. Outdoor and camping shops stock a massive variety of fans and heaters that will work perfectly with a camping generator. If the outdoor enthusiast in your life loves to go out bush in summer or winter and doesn’t have a fan or heater in their arsenal, you’ll definitely want to put this down as a potential gift. Many of us love to listen to some tunes to help us unwind on holiday, and the same can be said for anyone who enjoys the tranquillity of the outdoors for their vacation. But too many campers rely on their car radio or their phone to listen to some tunes. If you’re loved one has been putting up with poor quality sound on camping trips for too long, why not buy a set of quality speakers that they could use at home and easily take on a camping trip? Can’t Seem to Find the Right Outdoor Gift? At Generator Place we want to make sure everyone gets the most out of their generator purchase, particularly if it’s a special gift for a loved one. Even if you don’t purchase a generator from us, we’re more than happy to provide you with advice on the types of outdoor gifts to buy that work well with camping generators.